My chosen profession is not without its rewards. I performed a Christmas concert in December and, when it was over, a tall young man in his early twenties approached the CD table. “Mr. Miller,” he began, “You won’t recognize me, but you played at the library in Placerville, California, about fifteen years ago, when I was a little kid. 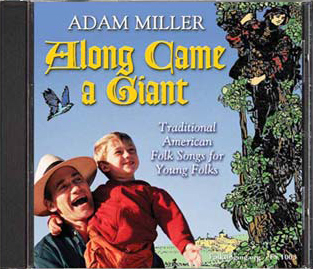 We bought your CD: Along Came a Giant – Traditional American Folksong for Young Folks. « Political Correctness and Traditional Folksongs: Can They Exist in the Same Time and Space?